CAUTION Unless visitors know the park very well, or carry detailed maps, it is wise not to venture too far from vehicles or from marked highways or roads. 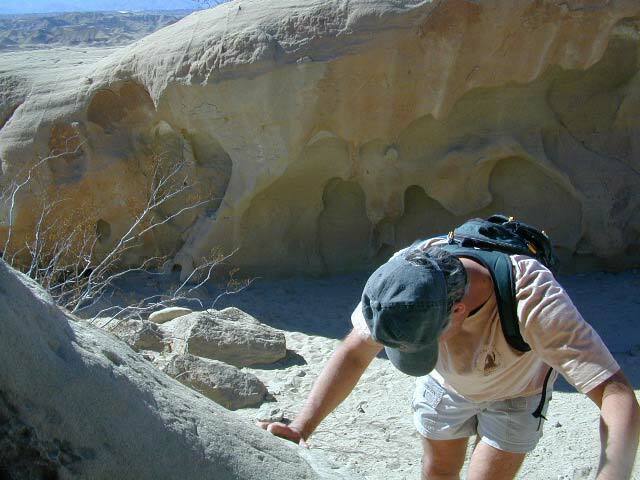 Getting lost is one of the easiest things to do in the desert. 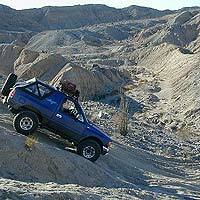 It's always wise to educate yourself about desert hazards, and to make sure someone else knows where you are going. Passes may be purchased at the visitors center near the town of Borrego Springs or through the mail by check, or money order. One of the best areas in southern California for back road exploration. Get that SUV dusty, why don't ya? This 600,000 acre park has hundreds of miles of dirt roads. Most are accessible with 2WD high clearance vehicles. 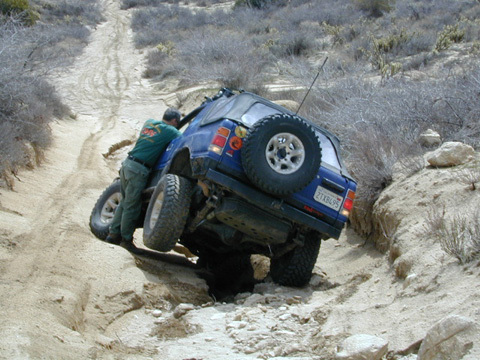 Soft sand in washes are common, so keep you speed up & do not come to a sudden stop in these areas. Small boulders on the road are not unhead of. 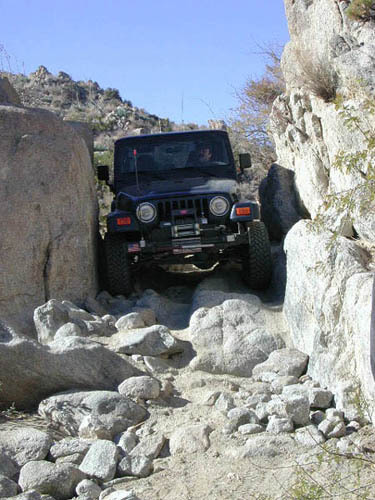 There may be some rocky obstacles along the way, so take plenty of precautions & drive at a moderate speed. Racing around fast (over 25mph) , tears up the trails, damages the plants, disrupts the wildlife & may eventually lead to road closures. A great back country map of this region is Tom Harrison San Diego BackCountry Map which can be found at most stores that carry a good selection of wilderness maps. 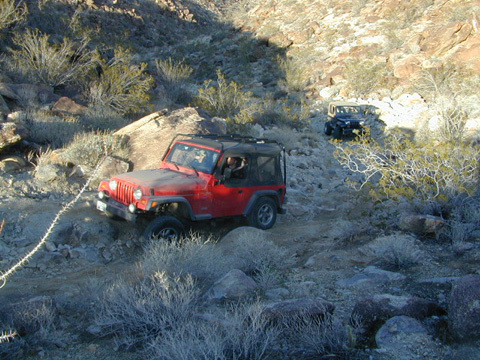 Some trails may require 4x4 for deep sand or steep hills, other routes are just awesome lil dirt roads. 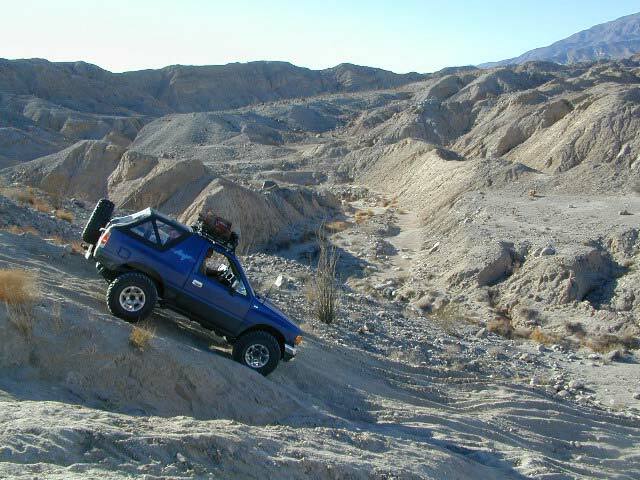 High clearance is usually advised if you plan to travel more than a mile off the pavement. 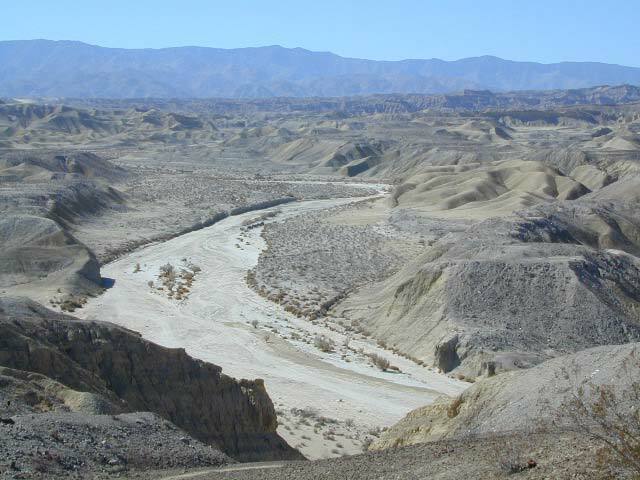 elev, 960', located N of Borrego Springs, near the mouth of scenic and rugged Coyote Canyon. NOTE: Open, dispersed, free camping (often called primitive camping) is also allowed inside the State Park. Dirt roads lead to zillions of scenic destinations. Some roads suitable for passenger cars, others are not. Read below for more info. The only park in the whole state that allows open camping throughout the park. There are 9 designated primitive camp areas plus 1 horse camp. No tables, toilets or parking stalls. Plenty of dirt roads to explore. Most regular passenger cas can get to these sites. But many roads will require an SUV or even 4X4. 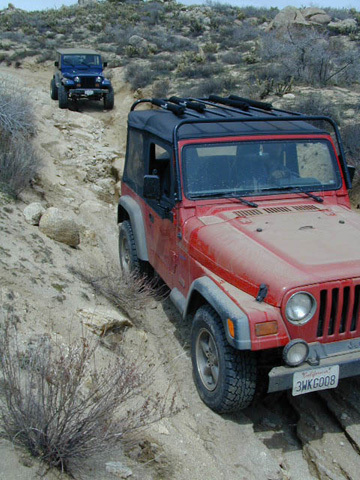 Check our backcountry roads section. A backcountry road map is highly advisable. 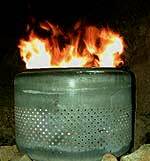 Better bring a metal container. 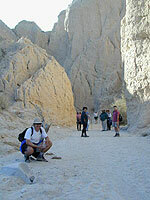 Borrego Palm Canyon (near Visitor Center) is by far the most popular family hike in the region.